Shop online for over 2,000 model train couplers / trucks at discounts up to 58%. Misc Parts is the most popular of the 11 model train couplers / trucks categories, then Trucks - HO, and Couplers - HO. Kadee Quality Products is ranked #1 out of 81 model train couplers / trucks manufacturers, followed by Tichy Train Group, and Cal Scale. 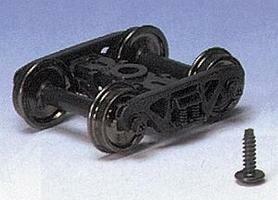 This is the HO Scale Trucks - Barber S-2 70-Ton Roller Bearing pkg(2) by Kato USA inc. This is 2 Pairs of Kadee #148 Magne-Matic "WHISKER" Metal Couplers. This Railroad Accessory Package includes Two Arch Bar Freight Trucks designed by Bachmann for your On30 Scale Freight Cars. 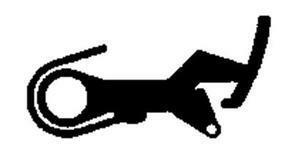 This is the HO Scale Horn-Hook Coupler X-2F - pkg(12) from Walthers. This is 2 Pairs of Kadee #5 Universal Magne-Matic Couplers. This is the HO Scale Headlight Enhancement Lenses Clear 6'' for Twin Beam, Effect Lights etc. (10) from Detail West. This is the 41-BNO-11 Outside Swinghanger 4-Wheel Passenger Car Trucks (1 Pair) With Insulated RP-25 Metal Wheelsets from Rapido Trains Inc. This is a Package of N (1/160) Scale Roller Bearing Trucks from Atlas Model Railroad Company. For Adult Model Railroaders. These are Kadee HO Scale 33" Diameter Smooth Freight Wheelsets. 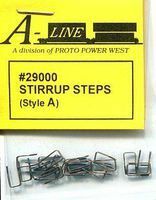 This is the HO Scale Handrail Stanchions (20) from Cal Scale Products. This is the HO Scale Bettendorf Talgo Trucks w/Coupler - Standard 1 Pair from Kadee. This is a Package of Twelve 33" HO Scale Flat Back Wheel Sets by Bachmann. Suitable for Ages 14 & Up. This is the HO Scale MU Hoses Set (16) (Plastic) from Cal Scale Products. This Package Contains Two Sets of HO Scale 50 Ton Bettendorf Trucks by Atlas Model Railroad Company.